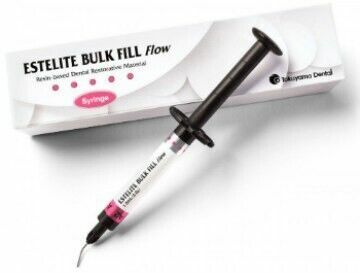 Estelite Bulk Fill Flow is a low viscosity, light-cured, radiopaque composite resin. This low stress flowable material can be placed 4mm increments. ESTELITE BULK FILL Flow incorporates Radical-Amplified Photopolymerization initiator technology - RAP technology. RAP technology facilitates a shortened light curing time and ample working time.